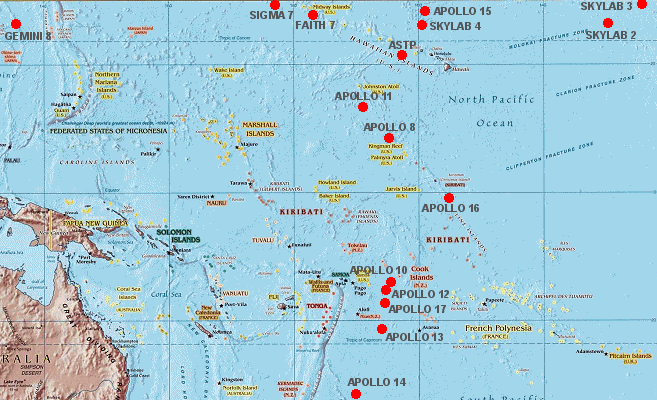 English: Pacific Ocean splashdown locations of American spacecraft. Source Map downloaded from CIA World Fact Book and then modified in Paint Shop Pro. This work has been released into the public domain by its author, Reubenbarton. This applies worldwide. Reubenbarton grants anyone the right to use this work for any purpose, without any conditions, unless such conditions are required by law.